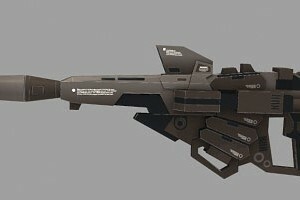 This release is the first part of Sinanju Gundam papercraft. The shiny effect is not from the 3d rendering, it is the texture. I try to simulate shiny surface with weathered texture. I recommend to use glossy or add clear glossy coating on the finish model. The whole model will be around 60 cm in height. As I mentioned earlier this Sinanju model will be a fixed non poseable statue. 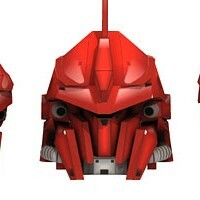 Next model will be ED-209 part 2. 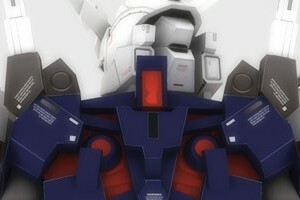 This is the last part of complete Unicorn Gundam paper model by Paper Replika. It supposed to be release yesterday but on last Saturday we went tp my wife's friend, they have a new house party. Then in the way home my daughter wants to visit her grandma, so we spent all weekend at my mom's house. As I mentioned before on Paper Replika facebook page the next gundam will be Sinanju. Second wave of unicorn gundam paper model parts design marathon. This part is a Beam Magnum. Just like usual I made all parts segmented for easier build. The Beam Magnum templates only contain a single page of letter. 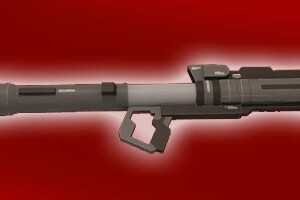 There is still one part left, I'll working on its Hyper Bazooka tomorrow, now is time to sleep. This release is one of a template design marathon for the completion of unicorn gundam with full accessories. After this shield will be its rifle and then cannon. I won't stop releasing until it complete. There will be challenging new project ahead, so I have to finish this. I will open again an old project, which is scout trooper life sized hard armor. This release is the last part of a complete unicorn gundam without accessories. This Unicorn is not finish yet, there will be more parts for shield and its cannon. The Unicorn's appearance when the system 'NT-D' is active. In this way, the psyco frame structure built in mobile whole body reads the thoughts of the pilot (psycowaves), which directly influence the movements of the unit. In other words, the Mobile Suit can be controlled solely by thought. However, when compared to the human body, the stress of gravity of a Mobile Suit from 20 meters, more than ten times the size of the human body is shaking. Even with the aid of psycommu the mind of the driver can only support an operation period of no more than five minutes, after which it is believed that a limiter is activated, returning the unit to the way Unicorn. 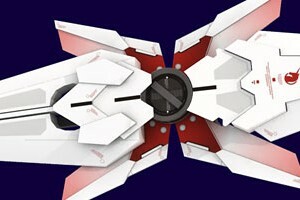 This system does not act according to the will of the pilot, but automatically, when certain conditions are met, supposedly when the unit detects an opponent Newtype.